What Do the Contents of Your Fridge Say About Your Personality Type? Saturday is National Clean Out Your Refrigerator Day—What Do the Contents of Your Fridge Say About Your Personality Type? When you know DISC, it’s amazing how many ways you can see personality reflected in people’s everyday patterns, habits, and routines. To commemorate National Clean Out Your Refrigerator Day on November 15th, we thought we’d take a look at the ways in which the contents of your fridge can reveal important characteristics about your personality type. 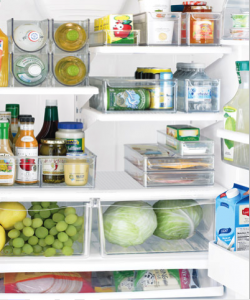 If you have a D style personality, chances are that your fridge probably has a very minimalistic look to it. Many people with D style personalities tend to be what we call “need-based” grocery shoppers. They have a particular item in mind that they need, and they go to the store to pick it up. No fuss, no comparison shopping, and no dilly-dallying. For need-based shoppers, going to the grocery store is something that only happens out of sheer necessity. The idea of popping into the grocery store to “see what looks good” is total craziness to a high D. In most cases, they don’t really like to shop because it’s a distraction from other things that they would rather be doing. This means that they tend to only go to the store to buy exactly what they need the moment they need it. 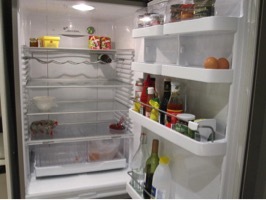 If you open someone’s fridge and it’s virtually empty, they likely have a D personality. That said, there is another grocery shopping possibility for “deliberate” D style personalities. If grocery shopping is one of the primary household responsibilities of a D, they’re probably crushing it. Many extreme couponers tend to be D personalities. It makes sense, really—though coupon clipping is often (accurately) attributed to the hyper-organized C style personalities, D personalities are extremely competitive and love the idea of “winning” at shopping. For these kinds of D shoppers, it’s not necessarily as much about saving money as it is about walking away from the store knowing they got a better deal than everyone else. If this is the case, their fridge might be packed and chaotic, filled to the brim with bargains. On Clean Out Your Refrigerator Day, an I style personally has their work cut out for them. Not ones to typically have the patience for meticulously organizing their refrigerator or planning meals ahead of time, they are drawn to buying whatever looks good in the moment. It’s not necessarily about need. It’s about want. They love to try new things. Colorfully packaged, stylish, and unusual food items are all very attractive to a person with a type I personality. I style personality types love to entertain, too, and like to have lots of food on hand just in case a spontaneous get-together breaks out. A person with an S style personality likes to keep to a familiar routine. They prefer to shop at the same store every week. They know what they like, tend to gravitate towards the same brands, and rarely deviate from their shopping lists. The fridge of an S personality can often be identified by the presence of bulk products and multiple containers of leftovers. People with S personalities like to make sure that there’s enough food for everyone and that everyone is happy and no one leaves the table hungry. This means that a good portion of their fridge is usually devoted to leftovers and condiments: meals they’ve already made and things that will help them make meals in the future. Type S personalities also tend to have very crowded refrigerators, but they look a bit different than the fridge of an I. The I’s fridge is full of new and different products—things they were drawn to in the moment. An S tends to stick to the same things and is more likely to buy one giant bottle of ketchup than three different artisanal flavored ketchups. An S personality knows what they like and go back for the same things very frequently. People that are drawn to warehouse club shopping—like Costco and Sam’s Club—are often S personalities. A C shops from a list. A C has a plan for how to move through the grocery store. They’ve planned their route ahead of time and already have their coupons loaded onto their grocery card. A C knows what everything should cost and will rarely buy something that is full cost. They may keep a running tally of the toll in their heads while they shop and are crazy, spookily accurate in being able to predict the final total. A C puts meats in the deli drawer and veggies in the crisper. They only have one bottle of mustard, as opposed to three half-empty bottles. 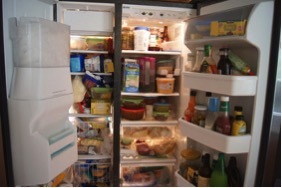 A C has a clean fridge, with no expired products or past-edible leftovers hidden in the back. Similar products are stored together—olives next to pickles and mustard next to mayo. If someone goes into the fridge and puts the milk on the wrong shelf, the next time the C opens the fridge, they’ll move it to its proper place. A person with a C personality type is organized and meticulous, both when it comes to planning out a shopping trip and putting groceries away in the refrigerator. Just open up their fridge door, and you’ll see this reflected back at you. They don’t have a crowded fridge. They only store what they will reasonably use and put everything away neatly with a clear sense of order. They don’t need National Clean Out Your Fridge Day because they’ve already cleaned out their fridge. Heck, they probably even have a monthly fridge clean-out schedule that they already adhere to. They’re that good. 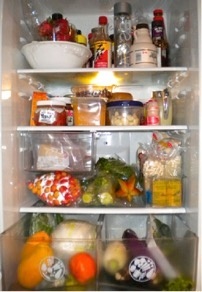 Of course, if you have a roommate or a partner that shares in the shopping and stocking of food, that changes things. 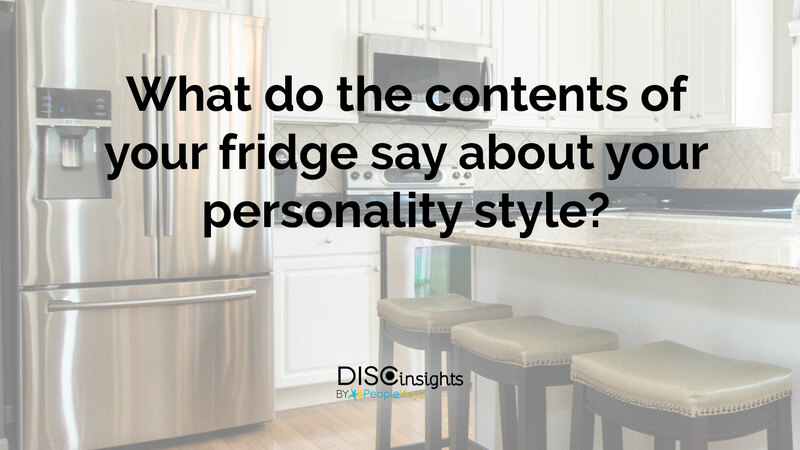 If you have a DISC personality style blend, that will change your grocery shopping and refrigerator personality slightly, too. For example, last week, I went to Costco with a friend who has a CS personality blend. She saw a package of retro sodas on the shelf that she knew her family would love and stood in front of the display for five full minutes trying to decide if she could bring herself to buy something impulsively that wasn’t on her shopping list. Eventually, she walked away without the sodas, and her inner C won out. It was quite a battle. If you have a DISC style blend that’s reflected in your grocery shopping style or by the contents of your fridge, we’d love to hear about it in the comments below.